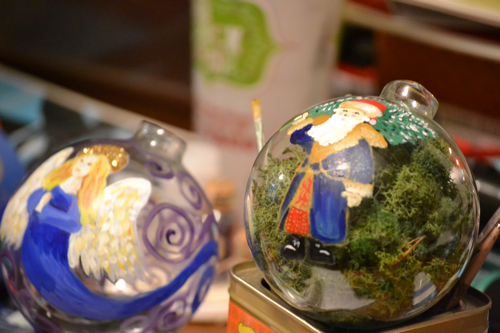 Adornments, Trinkets, and Sparkle- Ornament makings around the studio. 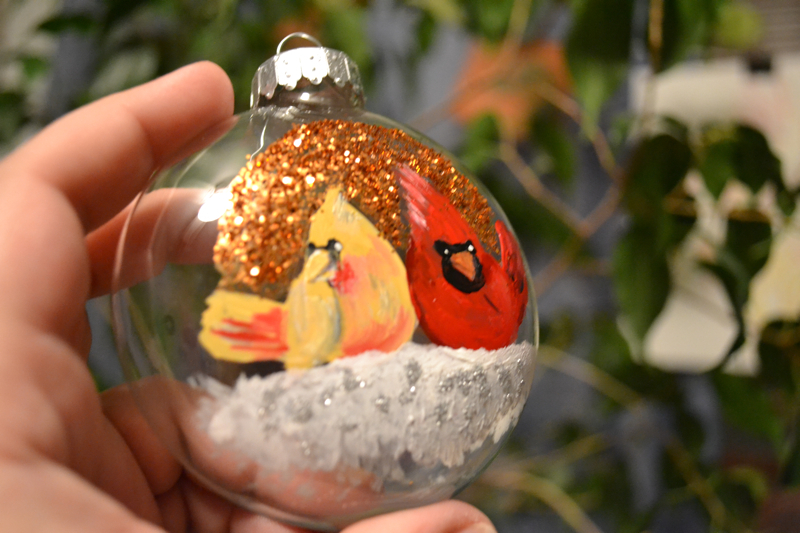 Tis the season for Holiday Crafting! It ranks higher than holiday shopping on my list and the list of many I know... it really is addictive. It has been particularly fun this year because I have been working on getting our home to look like our first "married" Christmas together... and make a few special things for our tree and our families. My great grandmother used to make little stuffed fabric cardinals for Christmas ornaments that were on her tree every year, and we still have some- they have sequins on the wings and even detailed eyes. 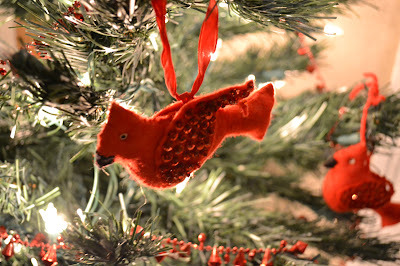 I have seen felt cardinals in boutiques similar but not like these (or with the sentimental value they carry!). our tree is red and white this year- this is before the new ornaments are added! 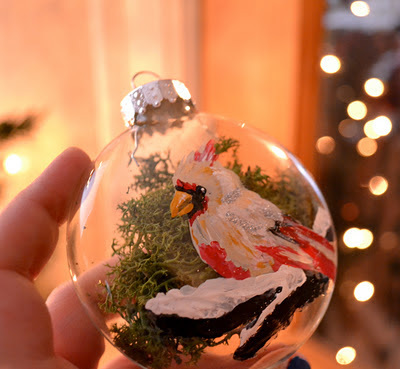 I have some glass ornaments in different sizes and have been using some moss for filling the insides- the moss is the stuff used in model railroad layouts and some floral arrangements. The cardinals are painted and glitter added for sparkle among the trees- I also painted a Victorian Santa on a larger one and a delicate angel for my mother. What do you think?